I wanted to print, and I wanted it quick, and my Epson printer couldn’t print as usual. The printer itself run as usual as if it printed my document, however, the result was only blue stripes printed or blue horizontal lines, and the rest was nothing printed. If you want to know how to scan with Epson printer, you may want to check this page out. Trying to solve this problem, I’ve googled then if anyone who has this printer does have the same problem, and found the thread in a forum, and after reading it, this is what helped me fixing this problem. Make sure all your inks are ok, and the printer is connected to your computer. 1. 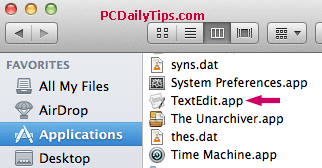 Open your system’s preference, if the printer icon is not showing on the doc. 3. Under “Printers” you will see your active Printer device. Double click it. 4. You’ll see the printer’s configuration dialog box. Double click the “Settings” with gear icon. 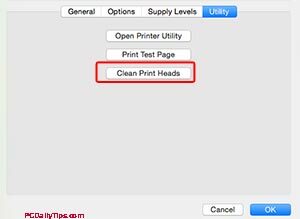 The printer will clean the head, and mine took about 3-4 minutes, then, after the process is done, you can start printing your document again, mine did work then. I hope, if you have this same issue with your Epson printer, yours will be fixed this easy too. Share your experience in the comment section below this post to help other Epson printers users.